USA: Is Arlington County, Virginia, Racist? Image: The seal of Arlington County, Virginia, highlighting the colonnade of Robert E. Lee’s mansion. Surely, the upwardly mobile white professionals who live in the stylish neighborhoods of North Arlington, a close Metro commute to Washington DC, don’t consider themselves racist. Nor does Arlington County in general, believing that it left behind the bad old days of racial segregation in the 1960s. But Arlington, Virginia, is like many communities in the South, unwilling to confront both the vestiges of slavery/segregation and always susceptible to new packaging for racial divisions. This reality was apparent in a hard-fought contest for the County Board in which the central issue was whether to build a light-rail commuter line to service the poorer and more racially diverse part of the county. The Republican/Tea Party candidate John Vihstadt, running as an “independent,” made opposition to the Columbia Pike Streetcar the centerpiece of his campaign and he received strong support from wealthier, whiter North Arlington, where there is much resistance to investing in infrastructure for the historically black part of the county, south of Arlington Boulevard (also known as U.S. Route 50).Vihstadt had the backing of the local newspaper, the Sun-Gazette, which doesn’t even bother to distribute in much of South Arlington because its residents aren’t the newspaper’s desired demographic. Vihstadt also won the support of the neoconservative Washington Post. So, it wasn’t entirely a surprise when Vihstadt soundly defeated the Democratic nominee, Alan Howze, who supported the Streetcar as a necessary step toward balanced development in Arlington County and toward strengthening the community’s tax base. But this local race said a lot about the issue of race that still percolates just below the surface in the Old Confederacy. It is a topic that I have witnessed up close since moving to Arlington in the 1970s, what might be called the post-segregation period. In 1977, after being transferred to Washington by the Associated Press, I rented a house in North Arlington and – as I looked around for where to buy – I was warned by neighbors that I should avoid South Arlington because of “the schools.” It soon became clear to me that “the schools” was code for South Arlington’s racial diversity. So, I decided to buy a house in South Arlington and all four of my children attended “the schools.” But what I hadn’t expected was that Arlington County, which had long neglected the black and brown neighborhoods of South Arlington, would not only continue that segregation-era behavior, but escalate it. While one might have hoped that Arlington County would want to respond to the end of segregation by pouring more public monies into South Arlington to equalize the infrastructure of the county’s two halves, the local governments (county, state and regional) did the opposite. They poured billions upon billions of dollars into the whiter, wealthier North Arlington, particularly around the Metro’s Orange Line. Meanwhile, the neglect continued for South Arlington. 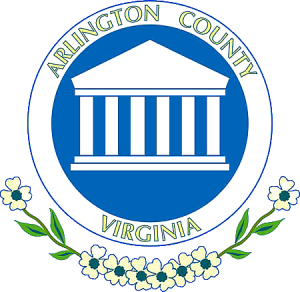 One of the few major county projects for South Arlington was to expand the sewer treatment plant to handle the increased sewage flow from North Arlington. Other spending on South Arlington always seemed to get slow-rolled or killed outright. The original Metro plan had called for a subway line going down Columbia Pike, the shabby commercial corridor through South Arlington. But that was eliminated for cost reasons. So, a decade ago, the Columbia Pike neighborhoods accepted a much cheaper light-rail commuter line as a consolation prize, but it was delayed for years before finally getting green-lighted by Democrats on the County Board. However, once the Columbia Pike Streetcar became a real possibility, well-funded opposition – much of it from North Arlington and from Northern Virginia’s Republican/Tea Party elements – took aim at the project as too expensive and at members of the County Board who okayed it. The issue played perfectly into the Tea Party formula: hostility to government projects in general mixed with a slight odor of racism. The Streetcar was a project that would primarily make it easier for racial minorities living near Columbia Pike to go shopping or get to work. There was an attitude among some North Arlingtonians that those people should be satisfied with buses. Pitching himself as an “independent” – even with support from Arlington’s small anti-development Green Party – Vihstadt cleverly exploited North Arlington’s resentment toward spending money on South Arlington. Indeed, his first County Board campaign only highlighted attacks on capital improvements in South Arlington, particularly the Streetcar which he parodied with a photo of a Rice-a-Roni-style trolley. The irony, however, is that Arlington County has continued lavishing spending on North Arlington, especially on the glittering neighborhoods along the Orange Line. Some $55 million was spent to install three new elevators at the Metro entrance at Rosslyn and nearly $2 million went to renovate a dog park at Clarendon. Billions of dollars more have gone into the Silver Line, which – when completed – will connect North Arlington to Dulles Airport. But there was this fierce opposition to the Columbia Pike Streetcar, whose costs have escalated – due to the years of delays – to around $300 million with about one-third of the money coming from the state and much of the rest picked up by special taxes on businesses that would benefit from the improved transit. Though the state money would presumably be lost if the Streetcar is killed, North Arlington residents may well be eying other parts of the funding for more improvements to the Orange and Silver lines. So, some of the opposition can be explained as simply the richer, more powerful part of Arlington County grabbing money away from the poorer, weaker part of the county. But there is the troubling back story of Arlington’s history of slavery and segregation. Arlington County, which was originally the southwest corner of Washington D.C. that spilled across the Potomac into Virginia, was ceded back to the Commonwealth in 1846. Then, the land was home to slaveholding plantations, particularly in South Arlington, the less hilly and less forested part of the county. One of those plantations belonged to Gen. Robert E. Lee. After Virginia joined the Confederacy in 1861 and Lee deserted the U.S. Army to command Confederate forces, his plantation was seized, with part of it becoming a cemetery for Union troops killed in the Civil War, what is now known as Arlington Cemetery. After President Abraham Lincoln signed the Emancipation Proclamation on Jan. 1, 1863, the former Lee plantation also became home to freed slaves, both his and others who flocked northward arriving via Columbia Pike. Thousands of ex-slaves were settled in a large refugee camp known as Freedman’s Village along Columbia Pike (near the current site of the Air Force Memorial and the Pentagon). Freedman’s Village remained there for decades after the Civil War, finally closed in 1900. But many of the African-Americans stayed in the area, some settling in South Arlington’s historic black neighborhoods. However, after Reconstruction ended, Arlington County like the rest of Virginia and the Old Confederacy continued to persecute African-Americans while honoring the legacy of the pro-slavery secessionists. In the 1920s, at the height of the Jim Crow era when blacks were being lynched and terrorized, a stretch of Route One through South Arlington was named in honor of Confederate President Jefferson Davis who wanted to keep African-Americans in slavery for perpetuity. The highway skirted several black neighborhoods. Around the two world wars as the number of U.S. government bureaucrats increased, many settled in newly developed neighborhoods in North Arlington, which were largely off limits to blacks. So, when the era of segregation ended in the 1960s, Arlington – like many Southern communities – was divided largely along racial lines. That was the time frame when I first arrived, having grown up in New England and moving from Providence, Rhode Island. In the 1970s, despite Arlington’s racial divisions and wealth disparities, the truth was that the main commercial thoroughfares through the two parts of the county — Wilson Boulevard in North Arlington and Columbia Pike in South Arlington – were both dumpy and depressing. But that was about to change. The massive public investments in the Orange Line transformed Wilson Boulevard into a glittering showplace, a hotspot for young, mostly white professionals. Yet, Columbia Pike remained pretty much the same, an eyesore of strip malls, car congestion and slow-moving buses servicing a racially diverse population, now with many Latinos and Asians as well as blacks and whites. Indeed, the shameful reality of Arlington County was that the gap between predominantly white North Arlington and racially diverse South Arlington actually grew wider after segregation ended in the 1960s, rather than narrowing. To add injury to this insult, the people of South Arlington ended up subsidizing wealthier North Arlington because much of the money for the Metro system comes from a gas surtax that falls most heavily on people who rely on their cars for transportation, i.e., people with inferior public transit. There’s also the financial benefit for North Arlington families who can get by with one or no car and thus save more money. Yet, Tea Party-style politicians have learned that — whatever the reality — they can exploit the Old Confederacy’s subterranean racial divisions for political gain. As we’ve seen in Arlington County, the strategy works not only in the rural Deep South but in relatively sophisticated communities in Northern Virginia. That minor public furor caused a senior elected Democrat to approach me at a public meeting and urge me to back off the Jefferson Davis proposal for fear of complicating Arlington County’s relations with the politicians in the state capital of Richmond. The county official told me that the notion of removing Jefferson Davis’s name would be viewed as crazy by many state legislators.